Our top selling Mach3 razor which uses Gillette blades, these blades are available worldwide in supermarkets and drug stores. High grade build quality and materials. This is not a cheap, throw away plastic razor like the type Gillette sell in stores. The handle colour is ivory / cream. 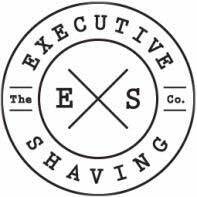 This is an exceptional razor in looks and performance, the Executive Shaving logo features on the handle, this is your guarantee of quality. This Mach3 compatible shaving razor has been designed to provide optimal balance and comfort allowing for a close and comfortable shave every time. The weight and length of this razor have been carefully calculated to deliver perfect balance for a comfortable shave. This razor will give a close, comfortable shave, we recommend you use a RazorPit blade sharpener, using this will prolong the life of a single blade, get up to 150 shaves from one blade. This is a beautiful looking Mach3 razor. Want to save some money and prolong the life of your Mach3 blades? Click here to find out more about the RazorPit Razor Blade Sharpener - guaranteed to prolong the life of your blades to up to 150 shaves.